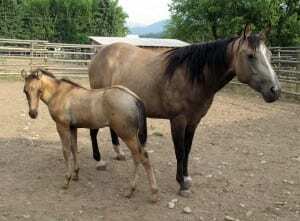 “KD” is a buckskin AQHA mare that we purchased in 1998 to be one of our foundation broodmares. 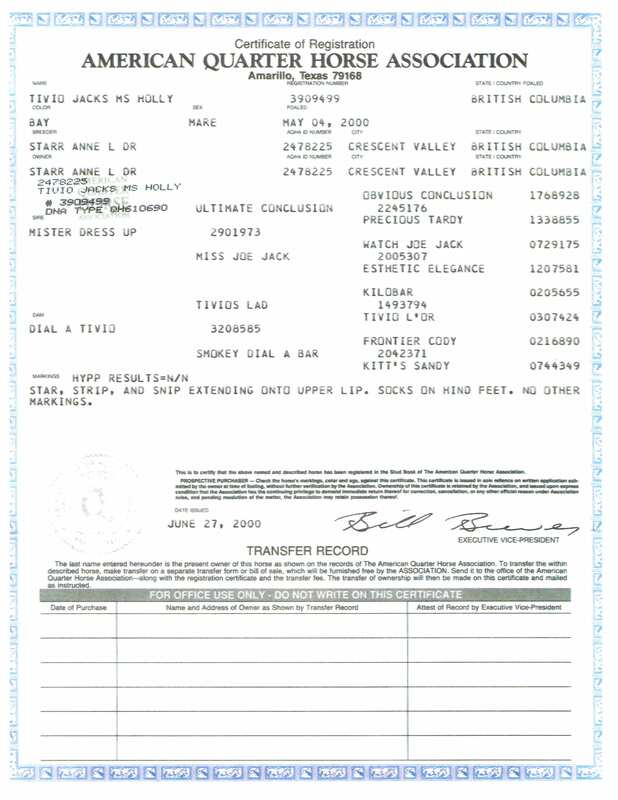 She is has amazing bloodlines from working quarter horse stock. With names like King Leo Bar and Poco Bueno as her great grandfathers we knew she would be a winner. KD was given to our dear friend, Anne Volanski, where she continues to produce amazing Azteca and AQHA foals. 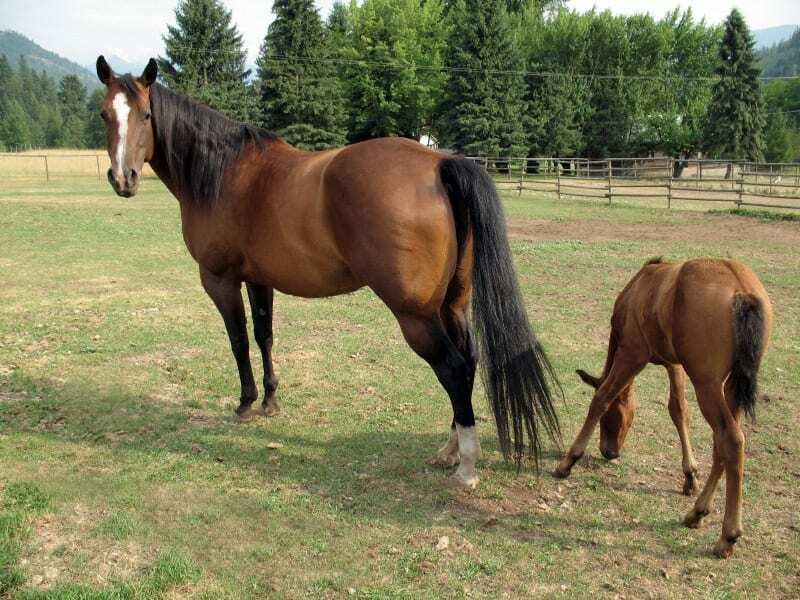 She gave us a number of beautiful AQHA foals of all colours as well as one Azteca foal. 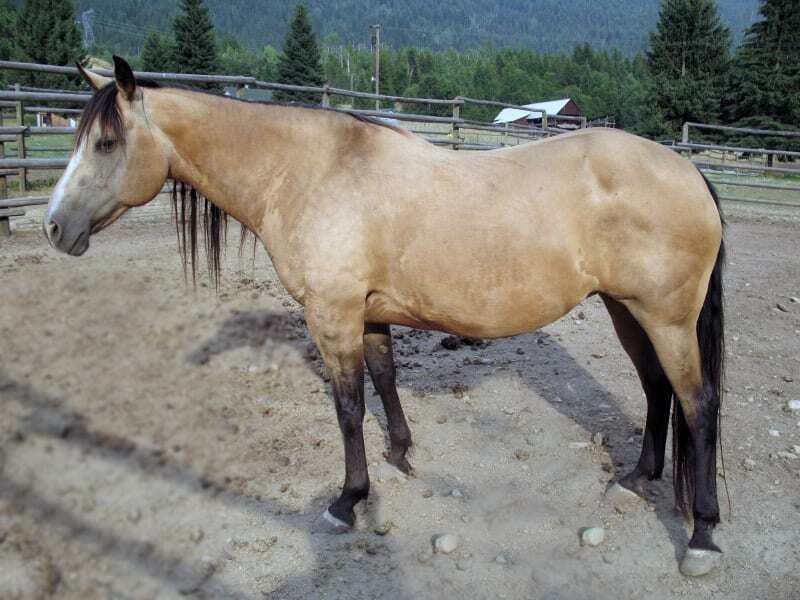 Enya is a beautiful Buckskin AQHA mare. Her dam is our mare KD and her sire is Mister Dress Up. After getting such lovely foal when we got Holly, we did the cross again and produced our sweet little Enya. What an amazing blend of working QH lines and halter QH lines. As with Holly, we got the best of both worlds. Her dam’s side includes King Leo Bar and Poco Bueno and her sire’s side includes greats like Two-eyed Jack, Obvious Conclusion and Impressive. Enya is HYPP double negative. Enya now resides in Alberta with her new owner, Nettie Barr of Canadian Natural Horsemanship where she is happily producing more beautiful babies.